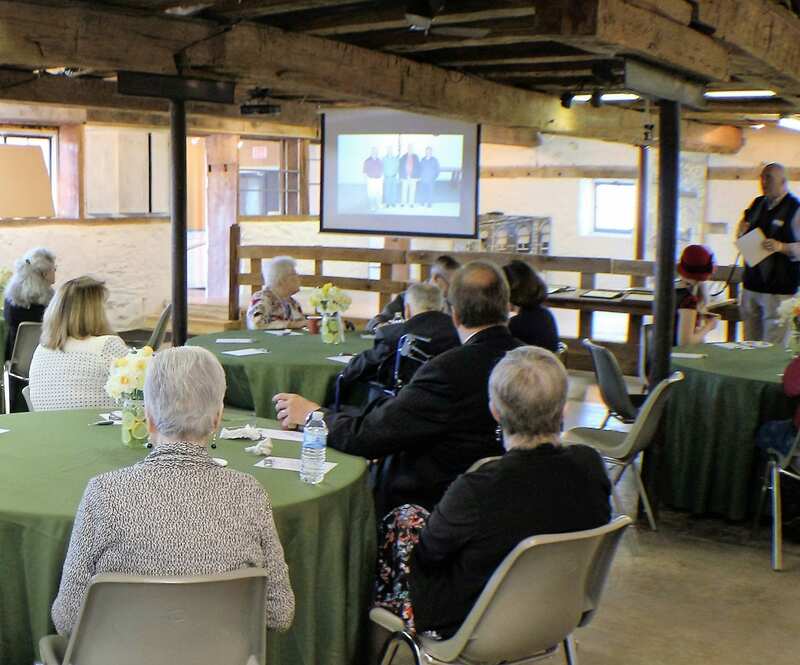 The Delaware County Historical Society held it’s 2016 Annual Volunteer Recognition Program at The Barn at Stratford. This year’s program has the theme of “Light Up Your Life”. The theme sums up both the way in which our volunteers have “lit up” the Society, but also the impact that volunteering has had on our volunteers. We have a great time while contributing our time, talents, and resources to the Society and to Delaware County – it’s history and community. Until this year, the Society had been an all-volunteer organization. 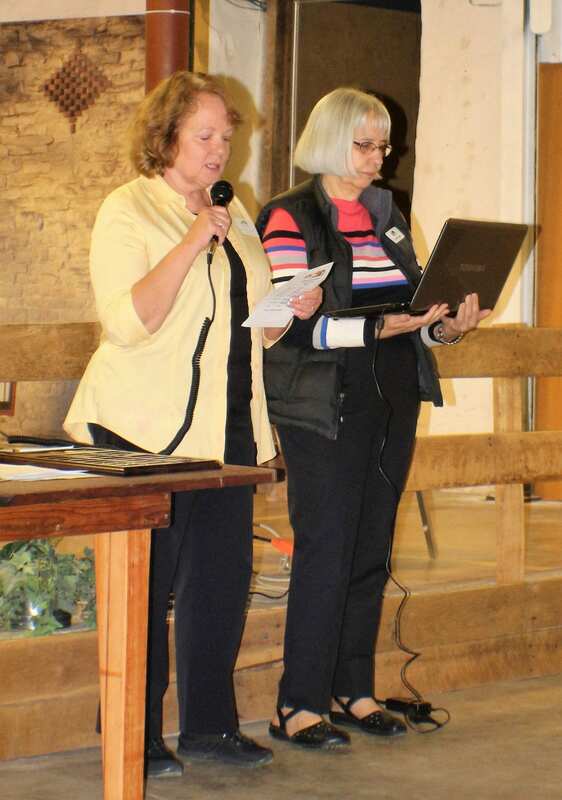 That distinction ended with the hiring of two leaders: Donna Meyer as Executive Director and Connie Hoffman as Venue Manager. Everything that the Society does is envisioned and implemented by volunteers. Every committee member, every board member, and trustee is a volunteer. In 2015, the 58 volunteers of the Delaware County Historical Society recorded 7,035 hours of service (plus many unrecorded hours). 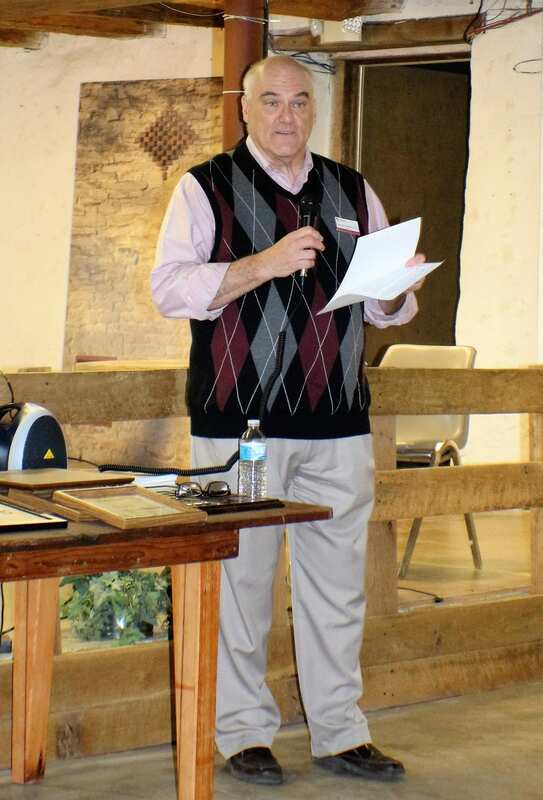 George Needham, Director Delaware County District Library System, spoke of the history of volunteering and how organized volunteering is a distinctly American tradition. Volunteerism is heavily rooted in American tradition. It took off in the late 18th century with the Second of four “Great Awakenings” in United States. This second awakening, while primarily religious, was also an awakening of social conscience. From that grew social movements including; abolition of slavery, temperance, and woman’s rights. In the early 20th century more secular Civic organizations sprang up. Groups like Rotary, Lions, the Junior League, Quota, the Jaycees sought to bring professionals together for fellowship and community service. Boy Scouts and Girl Scouts instilled social values in children and teens. The new civic organizations served their communities in a wide spectrum of services; immigrant settlement, helping the sick and injured, mutual aid societies for finances and burial, to historical, art and culture. These organizations benefited from some policies that precede the Income Tax of 1913. Ask and Listen – What are our volunteers good at? What do they want to do? Be Open, Creative – Be flexible and open to use technology to make volunteering less demanding (flexible schedule, off-site work). John Tombarge, served as Trustee from 1995 – 2008 and as Treasurer from 1997-2008. He established the solid financial practices which continue to guide the Society. Lloyd “Buck” Shoaf was the lead Buildings and Grounds volunteer, as well as the Financial Secretary from 2003-2006. Impact Award – recognizes volunteers who have done an exceptional job and facilitated changes which make a long and lasting impact on our organization. The first recipients of the Impact Award are Ralph Au and Rick Fisher for their efforts and accomplishments in transforming the use of Information Technology at the Society. Innovator Award – recognizes the volunteer who identifies a need and develops a new capacity at for The Society. Diane Williams was recognized for her grant preparation and development of video programs as another way to provide Delaware County history to students. She also is managing the requests for tours and presentations primarily for schools. “GO TO” Award – recognizes volunteers who we can “go to” in a pinch and they will step up to help in a variety of situations such as festivals, committees and library duties. The first recipients of the Go To Award are Susan Buttons, Geoff Gruendl, Ralph Au, and Rick Fisher. 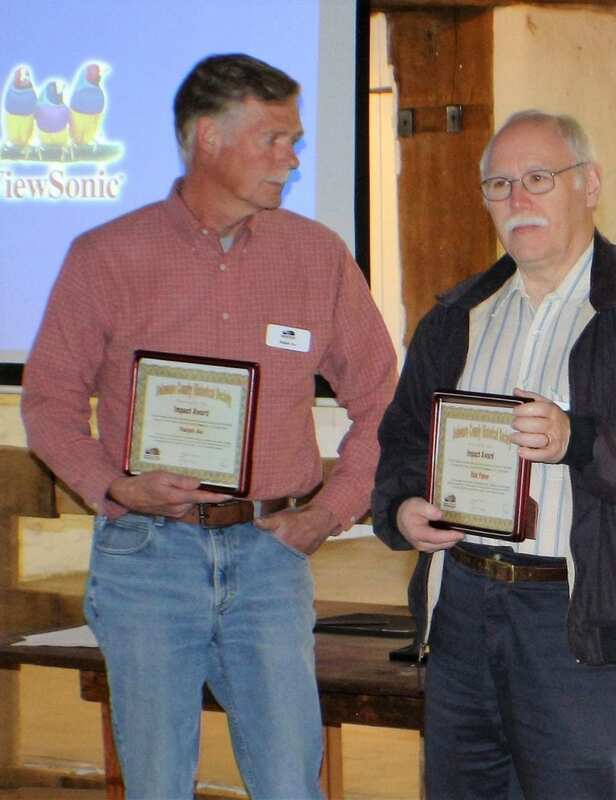 These awards are a continuing part of the Society’s volunteer recognition program. 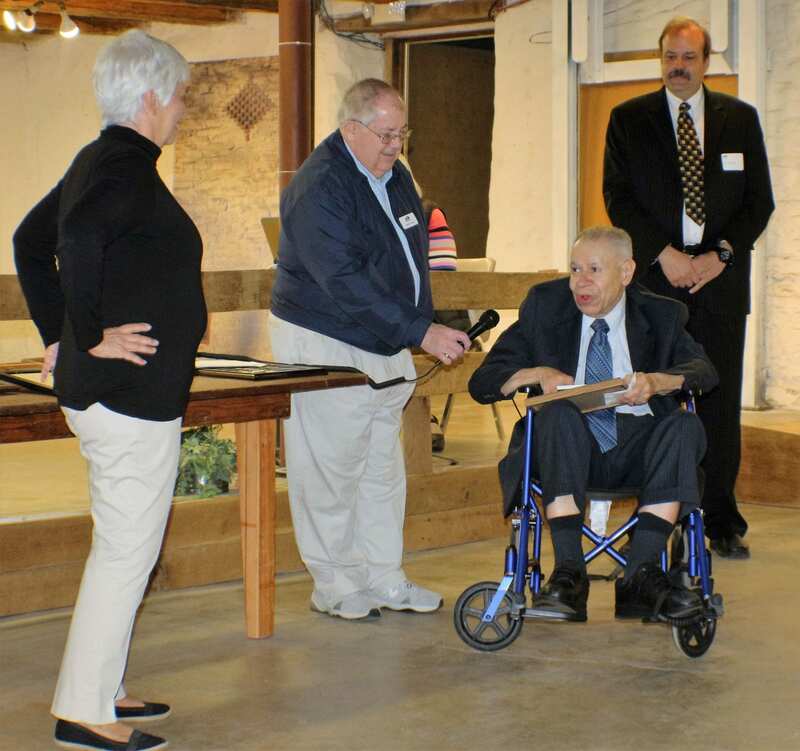 They highlight those who will be impacting the Society as it continues to find new ways to fulfill its mission to promote and sustain interest in the history of Delaware County, Ohio through historical preservation and education. This year the Society’s board has chosen to honor Marilyn Cryder by naming the Volunteer of the Year award in her name. It is now the Marilyn Cryder Volunteer of the Year Award. The recipient of the Volunteer of the Year award is also added to The Society’s Hall of Fame. Recipient of this award is Karen Hildebrand who leads the Curriculum Support Committee, which is taking Delaware County history to the students in Delaware City and Delaware County schools. Karen has created a culture where Committee members may speak their mind, air ideas, maximize our abilities and skills to work toward goals with specific objectives and time limits.​ Friendly, pleasant, determined, hardworking, she shares her experience and experiences. 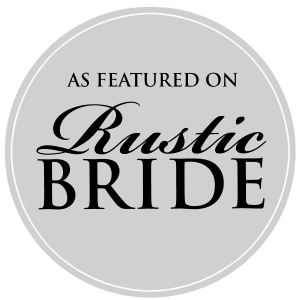 She has the ability to keep people on task,​is good at delegating, has great problem solving skills, and uses new technological options and equipment. She has good foresight, hindsight and a comprehensive view of present and future goals. 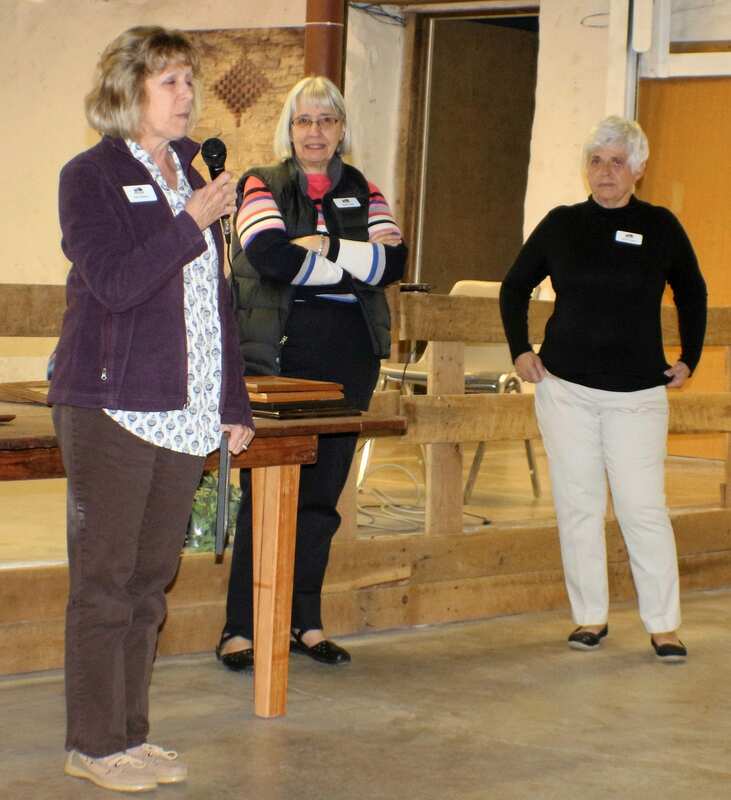 Next month, the Society will be holding its annual Volunteer Fair. The fair is a volunteer recruitment event at which the Committee heads and Project Managers “pitch” their activities and projects to the volunteers. After the presentations, prospective volunteers mingle with the speakers and current volunteers over refreshments. This collegial approach to volunteer recruitment has been a tradition in the Society for years. Come and join us on May 19th at 7pm at The Barn at Stratford.